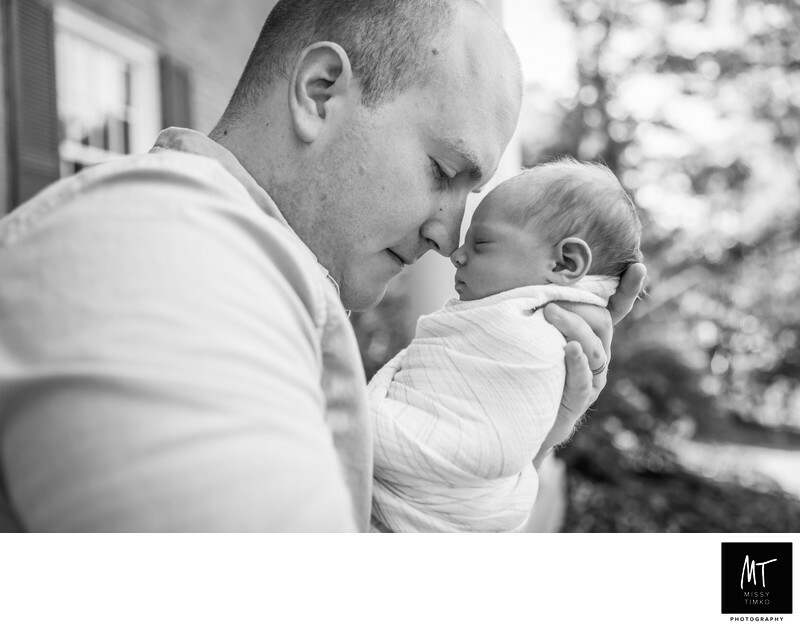 This image of father and newborn baby was shot on location at their home in Mount Lebanon, Pittsburgh. The simplicity of this outdoor image captures the style of my photography; timeless, uncluttered and natural. This black and white image captures a peaceful and tender moment between father and child. My style calls attention to the beautiful expressions, actions, and features of the subjects in this image for a timeless newborn photography portrait.